One of the most harmful things to the natural underwater environment is sunscreens. We don't think of it, but when we swim in the water, these oils come off and settle on the coral reefs and other marine life, and in volume can almost act like an oil slick in the water, creating damage to the delicate ecosystems. Have you ever seen all white coral? This is the cause of coral bleaching. Oxybenzone a toxic ingredient found in many sunscreens exacerbates coral bleaching, a process by which coral reject symbiotic organisms and lose their color. Currently, somewhere between 4,000 and 6,000 tons of sunscreen enters coral reef areas around the world each year, according to the U.S. National Park Service. Toxicity occurs at a concentration of 62 parts per trillion. That’s the equivalent of a drop of water in an Olympic swimming pool. While not advocating you to stop wearing sunscreen, instead we urge to wear biodegradable sunscreen. 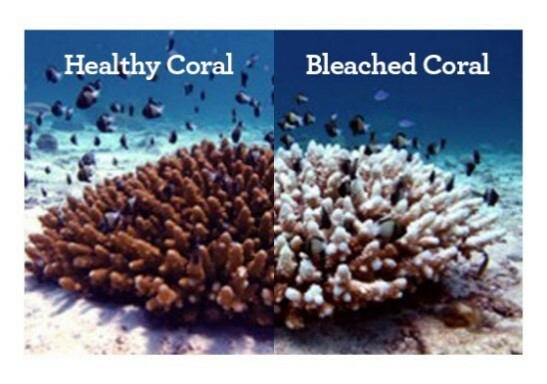 Biodegradable sunscreens don’t contain chemicals that can damage coral reefs and ocean life. Instead, they contain natural, eco-friendly ingredients that break down in a way that is not harmful. Stop by Just Add Water to pick up your biodegradable sunscreen before your next vacation. Please have in mind that your actions make the difference and try to stay ecologically conscious regardless of where you go in the world!